packaged up nicely in a sophisticated and sturdy cassette. The benefits are easy to spot. 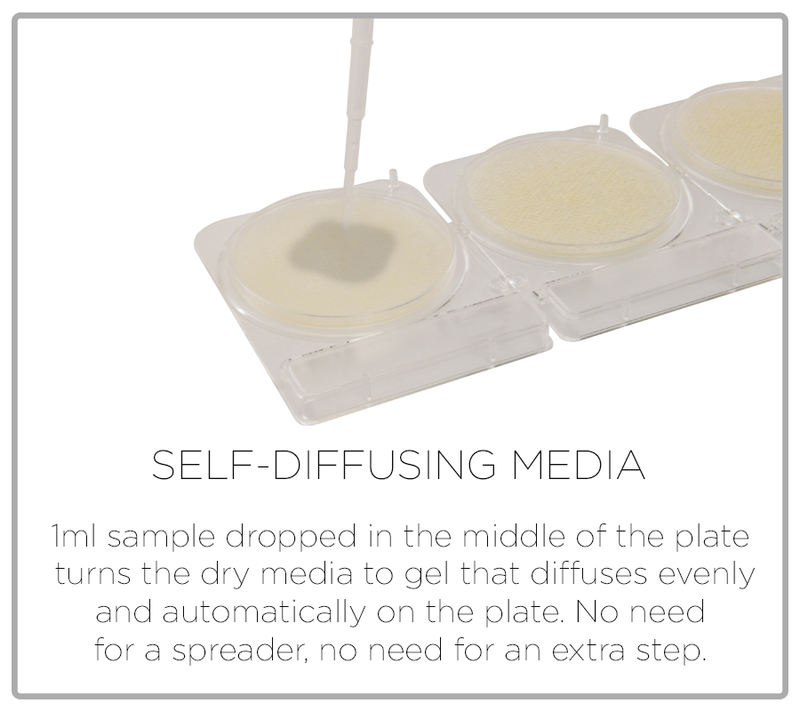 CompactDry™ offers eight different media specific to the following organisms. For the isolation and enumeration of coliforms and E. Coli. 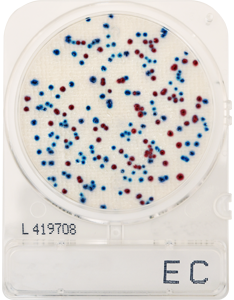 Coliform colonies will appear red, and E. coli colonies will appear blue. 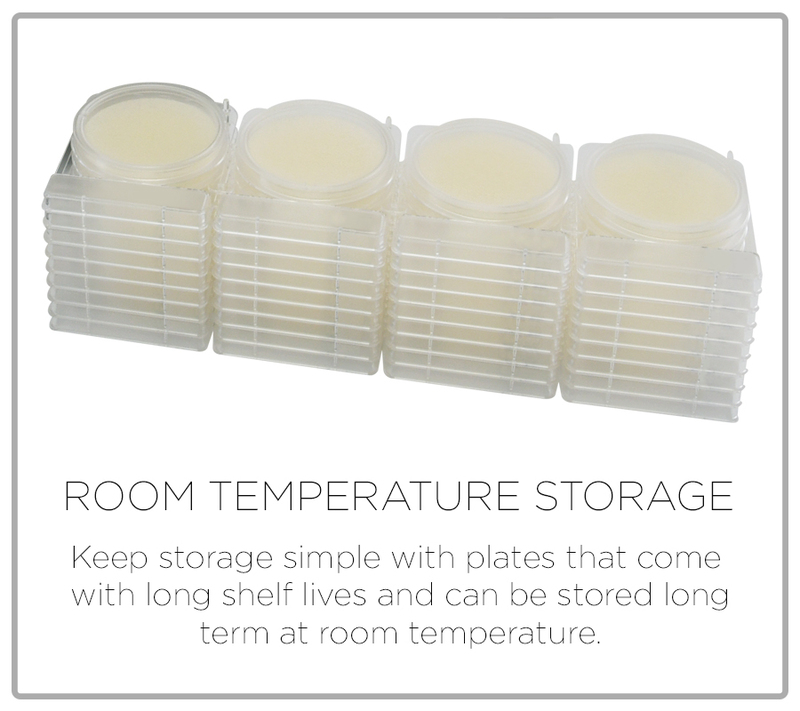 For total aerobic viable bacterial count. 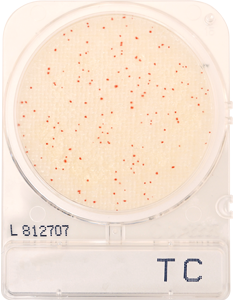 Growing colonies appear red. 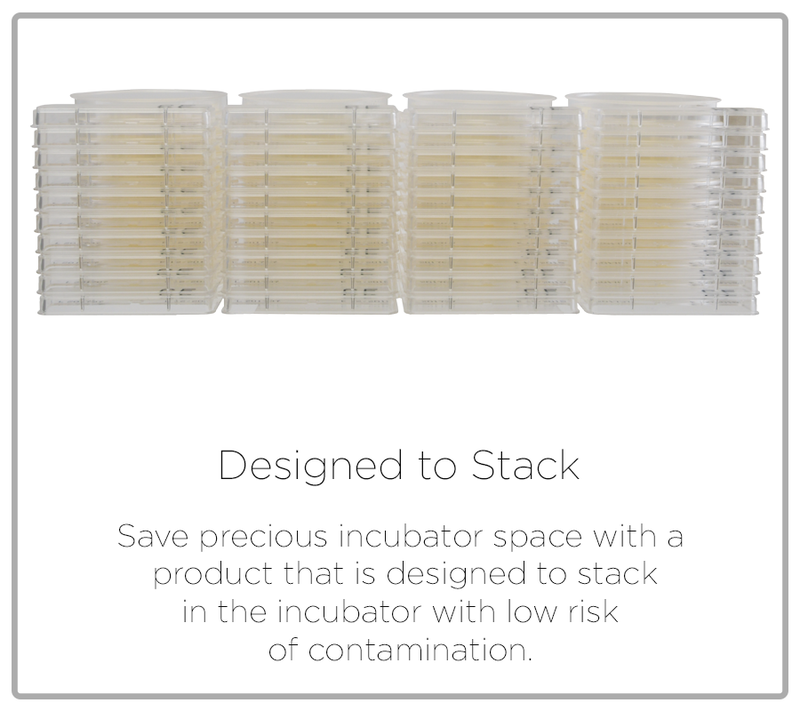 For the isolation and enumeration of yeast and mold. 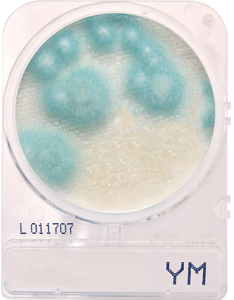 Yeast colonies will appear blue, and molds will form cottony colonies with characteristic colors. For the selective growth, enumeration, and differentiation of Staphylococcus aureus. 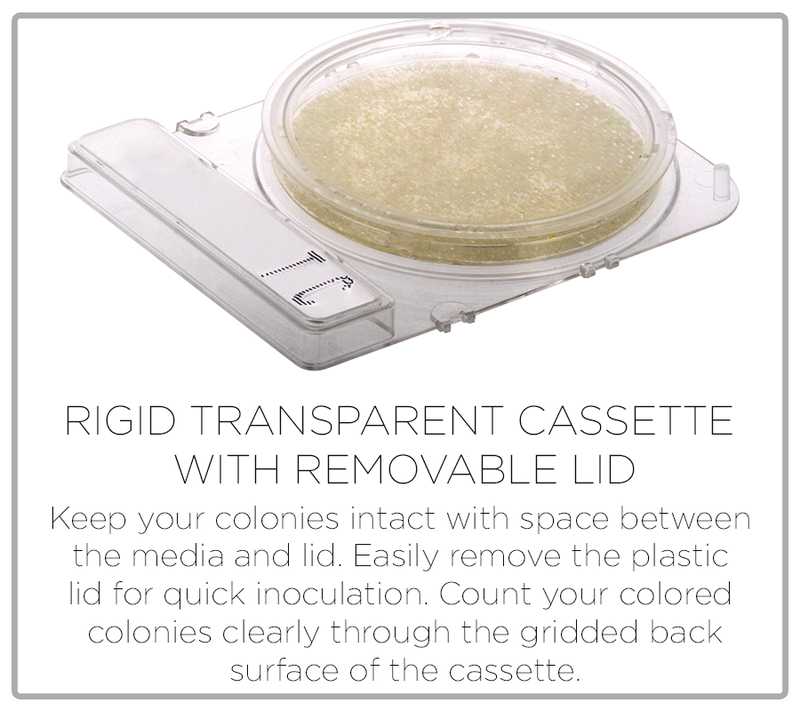 Growing colonies will appear blue-green. 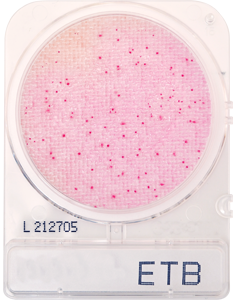 For the isolation and quantification of Enterobacteriaceae that will appear magenta in color. Genera of Enterobacteriaceae consists of Citrobacter, Enterobacter, Escherichia, Klebsiella, Morganella, Proteus, Salmonella, Serratia, Shigella, Yersinia and more. 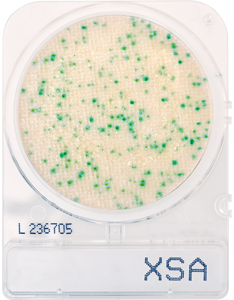 For the selective growth, presumptive identification, and enumeration of Listeria spp. 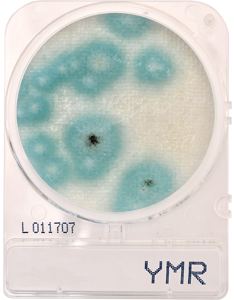 Growing colonies will appear blue. 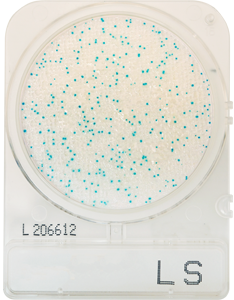 Determines the presumptive identification of Salmonella spp. 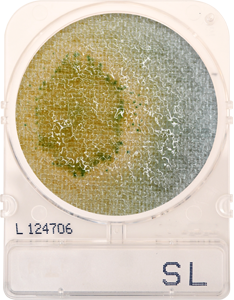 Growing colonies will appear green or blue-green with black centers. 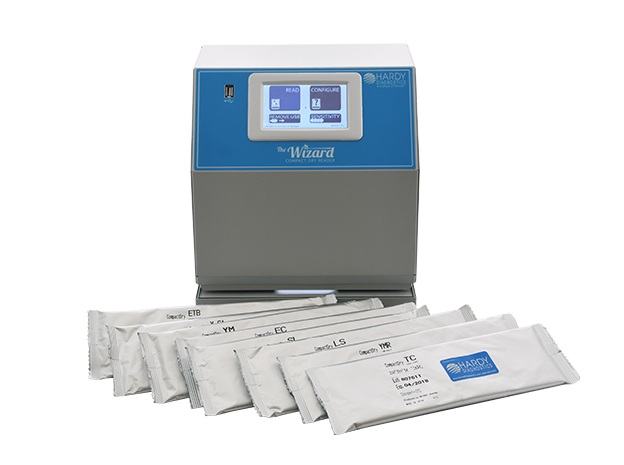 A small automated CompactDry™ reader that will make a big impact on time spent counting colonies by hand. The customer service department at Hardy Diagnostics is phenomenal. If I have a deadline to beat, I do not even bother with my other vendors. The CSRs are always available, knowledgeable, and provide a positive experience over the phone and through emails. I have never been let down by Hardy Diagnostics. If I have a question regarding shipping, ordering, technical specifications, or billing I am always given Grade A attention. Overall, I recommend your company to everyone, and your website is very user friendly. Your pricing is very competitive and I can always get a discounted price on items we purchase.